VBar NEO will come with the Express configuration. It has much more features as the current Express version, i.e. it contains the electric governor and bank switching already. So it fits the basic needs to be used with VBar Control. 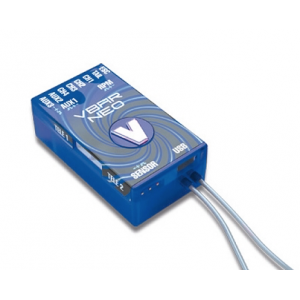 VBar NEO VBasic is a simple receiver for VBar Control. It can be updated online to make it a full blown VBar NEO with all the stabilization and assisting features (like Rescue). The top configuration is PRO+Rescue, which adds the Rescue feature to the PRO version. To use all the new features, an update of the VBar Control may berequired. Specific features may require the installation of free Apps from our App Store. All updates are fully backwards compatible, so all current devices can be used without change. Information about available Software-Updates can be found here. 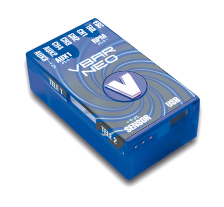 VBar NEO with built-in VLink receiver, with 6.1 Express Software Our new VBar platform is called ..
VBar NEO with built-in VLink receiver, with 6.1 Express Software, White Our new VBar platform is ..
MIK5054 VBAR NEO VBASIC RECEIVER Must conform to the local law when using this produc..
MIK5131 VBar NEO VLink 6.x Express, neon-yellow VBar NEO with built-in VLink receiver, with 6.x E..